All our projects are accomplished through member participation. 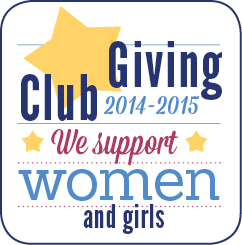 We are always looking for women who want to jump in and make a difference in our community. If you are interested in learning more about our club, we encourage you to come to a meeting. (See our Event Calendar for details.) We also have an annual Prospective Member Event, held each spring. Our members are volunteers who often lead busy lives and have different amounts of time they are able to give. We appreciate all our members, regardless of their level of involvement. Every bit of help makes a difference! Many opportunities exist to extend your Soroptimist friendships beyond the local club and community. Members are encouraged to attend meetings at the Regional, Federation, and International levels. At these events, you meet other Soroptimists and learn more about what other women are doing to better their communities. Friendship Grants link clubs from around the world and allow members to experience other cultures and places. Membership dues are paid annually in June, (prorated quarterly for new members). For more information, contact us at info@best4women.org. Click here for the New Member Info form.